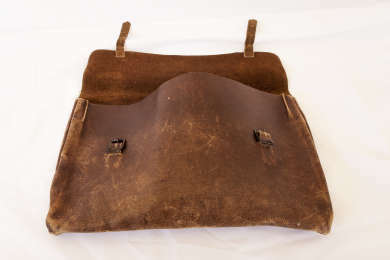 This simple leather satchel was used by Joe Lyons throughout his working life, from his early years as a teacher in remote Tasmanian schools to his time in State and Federal politics. It therefore serves as a common thread through Joe’s remarkable journey to the pinnacle of Australian society, and could been seen as a constant reminder of his humble beginnings. Joe Lyons began his working life as a teacher in small and remote Tasmanian schools after passing the Education Department final examinations in December of 1897. He was posted to a variety of schools across the north of the state, including at Irish Town near Stanley, Barrington in the North West, Conara in the Central Midlands, before becoming Head Teacher at Smithton in 1905 and Pioneer in 1906. Throughout this time Joe expressed dissatisfaction with the poor working conditions and lack of resources made available to support his endeavours, and became increasingly outspoken in his criticisms of the Education Department. 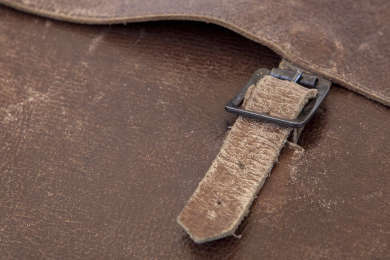 After moving to Hobart in 1906 to continue his training at the newly founded Tasmanian Teachers College, Joe began to broaden his horizons and make connections within the fledgling Tasmanian branch of the Labor Party. He became a staunch critic of Government education policy, including such issues as the overlooking of locally trained teachers in favour of interstate ‘imports’. Increasingly unhappy and feeling victimised by the Department, he resigned in 1909 to be free to run for State Parliament at the coming elections, so beginning the next phase of his political life. In 1958, Enid Lyons gifted the satchel to her friend and neighbour Arthur Brotheridge, who lived in a small cottage on the southern boundary of Home Hill. Arthur worked for Enid at various times as a gardener and helped her maintain the Home Hill property. 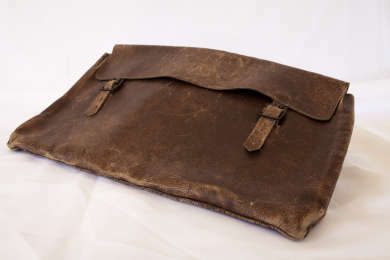 The long journey of the satchel was completed when, on 21st September 2008, Arthur presented it to Brendan Lyons, son of Enid and Joe, at the launch of his book They Loved Him to Death. 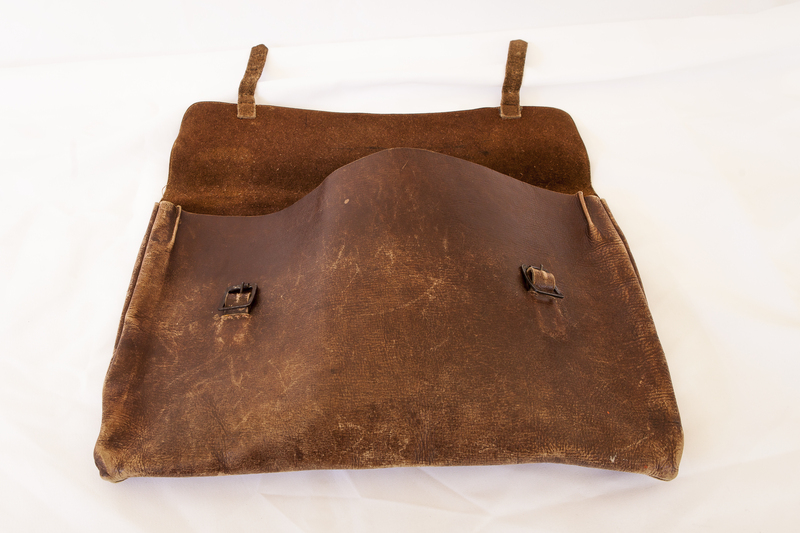 Brendan later transferred the satchel to the National Trust in 2009 for safekeeping at Home Hill.